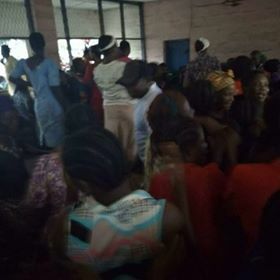 all 114 illegally detained IPOB women who were arrested on Friday, August 17, 2018, during a protest by the Imo state Police command led by Commissioner Dasuki Galadanchi in collaboration with APC governor Rochas Okorocha has finally regained their freedom. 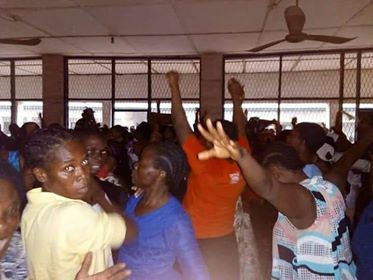 The news of their unconditional release came in this evening after pressure both local and abroad calling on authorities to free the women who has done nothing wrong but exercise their rights to free speech and assembly, all 114 were arraigned in court today August 24, 2018, after Chief Magistrate S.K. Durumba unlawfully denied them bail on August 20th 2018, under the pretence of not having the jurisdiction to entertain to the case. 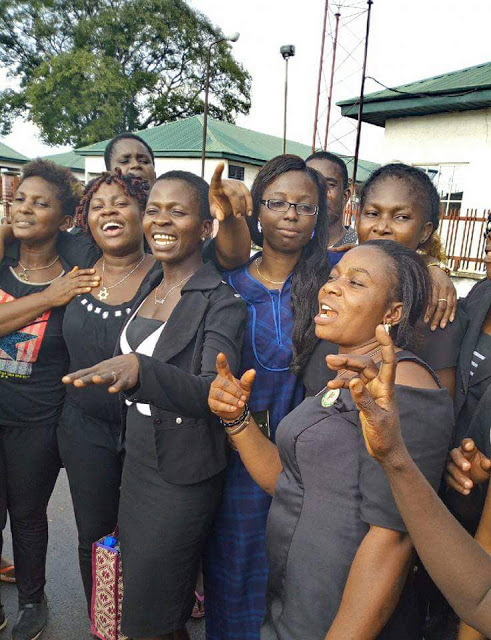 Surprisingly, today the court discharge and acquitted them, 17 of them was said to have been freed yesterday on health grounds. This is yet another victory for IPOB who is at the forefront so far as the most successful movement in the Biafra struggle, a few months ago we saw the release of the Biafran four who was arrested alongside Nnamdi Kanu in October 2015. This is just another sign that the IPOB is unstoppable and determined to restore Biafra despite all shortcomings as they prepare for a referendum later this year. The released women couldn't help but shed tears of joy as they thank IPOB's formidable leadership and everyone who stood by them while they are being incarcerated, they vowed to continue the struggle despite the torture and severe maltreatment they received at the hands of the police in a bid to stop them. As at the time of filing this report, IPOB legal team are still perfecting their bail papers.